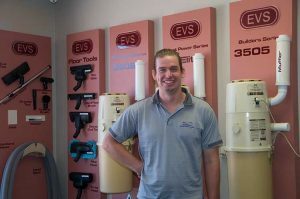 Electron Technologies supply and install the complete home cleaning and automation package from Ducted Vacuum all the way through to gate entry systems, intruder alarms, CCTV and distribution of your TV and Data to suit your lifestyle. 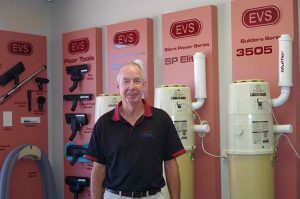 As a proudly West Australian family owned business that has been looking after customers for more that 30 years, we are confident you will enjoy working with our small but well qualified team. We cover the entire Perth Metropolitan area from Yanchep to Mandurah. We even have some preferred installers that will install systems in country locations. At Electron Technologies we can assist with complete supply and installation of our products, servicing, spare parts or DIY kits. Call us today on 08 9344 6222 to see how we can help you. As Ducted Vacuum is usually installed under the slab this is one of the first product you need to lock away in your construction package. At Electron we only sell EVS vacuum systems, as such, product knowledge is extensive and product support is as simple as calling us. This Australian made product is renowned for have the best filtration system around. We do our own service and warranty work either in our Balcatta premises or at your site. When we look at Intercom, Intruder alarms, CCTV and Smart Wiring this is an ever changing technological landscape. Please come in or call us to discuss your requirements and we will happily give you the advice you need to make informed decisions.